Researchers, PI's, lab managers, professors, post docs, grad students, purchasing agents, and other lab staff are invited to come meet industry leading biotech and lab supply sales reps in a professional and friendly environment. Located on-campus, this event saves you valuable time by making it convenient for you to speak with suppliers on your own time, on your own turf. 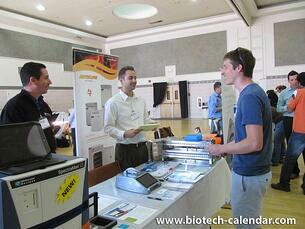 Save the date for the 17th Annual BioResearch Product Faire™ Event at University of Colorado, Boulder on Wednesday, June 17, 2015 from 10:00 a.m. to 2:30 p.m. 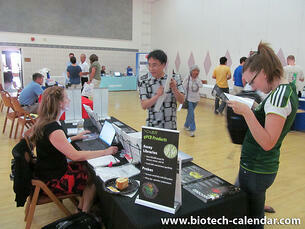 Laboratory Product Shows are some of the life science industry’s most popular events for researchers and biotechnology suppliers, and put researchers in direct contact with lab suppliers on their own campus. Lab supply companies interested in participating in the University of Colorado marketplace are invited to learn more about exhibiting in Boulder.